Since the Company's inception in 1978, DSC has specialized in the development of software productivity tools, call center products, cti software with computer telephony interfaces, and call center predictive dialing systems with IVR software. These products have been developed to work in a local area network and over the internet. Although each of these products stands alone, they all work in a totally integrated fashion and are designed to provide you with a one stop call center solution. The following is a summary of these products and services. Business and Toll free phone numbers (generally 800 numbers and their equivalent) are very popular for service and sales organizations, allowing customers and prospects to call your organization anywhere in the country. 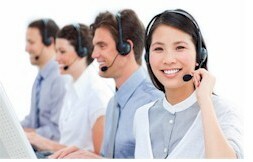 Our IVR software and phone system adds another dimension to the PACER call center solutions. An Interactive Voice Response (IVR) processes inbound phone calls, plays recorded messages including information extracted from databases and the internet, and potentially routes calls to either in-house service agents or transfers the caller to an outside extension. It enhances our phone system's current robust features of predictive dialing, ACD, and digital call recording. Database Systems Corp. (DSC) has been providing CRM Customer Relationship Management solutions to businesses and organizations for 2 decades. Providing customer service is vital to maintaining successful business relationships. Accurate and timely information provided in a professional manner is the key to any business and service operation. Telemation, our CRM software application, was built on this foundation. But the flexibility to change is just as important in this dynamic business environment. Telemation call center software was designed with this concept from the very beginning. That is why so many call center managers, with unique and changing requirements, have chosen and continue to use Telemation CRM software as their solution. Since the Company's inception in 1978, DSC has specialized in the development of communications software and call center systems. Beginning with our CRM and call center applications, DSC has developed computer telephony integration software and PC based call center phone systems. Supporting both inbound and outbound call center activities, our technology includes interactive voice response and voice broadcasting systems. These products have been developed to run on a wide variety of computer systems. 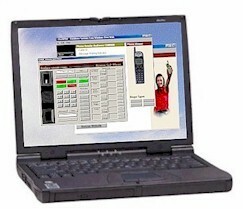 Computer Telephony Integration (CTI) is a science that enables computers to know about and control telephony functions such as making and receiving voice, fax, and data calls with telephone directory services and caller identification. The integration of telephone and computer systems is a major development in the evolution of the automated office. CTI is not a new concept. Such links have been used in the past in large telephone networks but only dedicated call centers could justify the costs of the required equipment installation. Primary telephone service providers are offering information services such as Automatic Number Identification and Dialed Number Identification Service on a scale wide enough for its implementation to bring real value to business or residential telephone usage. A new generation of applications (middleware) is being developed as a result of standardization and availability of low cost computer telephony links. The auto dialer phone system from Database Systems Corp. is a state-of-the-art computer telephony phone dialer that handles inbound and outbound phone calls for small to large call centers. Our auto dialers support both analog (Wizard Series) and digital (Pacer Series) phone lines and can be configured from 1 analog line to a 1000 digital lines. Calls are either initiated by the phone dialer or accepted from the outside and distributed in an intelligent fashion to your service agents using ACD systems. Developed with industry standard components (Dialogic, Intel, and Windows), the DSC phone system has features and functions that can only be found in large scale PBX�s, but at a fraction of the cost. And auto dialer has capability that cannot be found in most of these larger phone systems. Database Systems Corp. (DSC) offers complete automatic call distribution ACD software and systems for small to large organizations. Our ACD solutions support both digital and analog phone lines. Business and Toll free phone numbers (generally 800 numbers and their equivalent) are very popular for service and sales organizations, allowing customers and prospects to call your organization anywhere in the country. 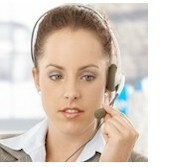 Our ACD software and phone system adds another dimension to the PACER call center solutions. Contact DSC to learn more about our call center software including CRM software and Phone software.